Fantastic home in Wynfield is sure to mark everything on your wish list in a dream home! A versatile floor plan w/ multiple living areas gives extra space for whatever your needs! Fresh updated kitchen & bathrooms w/ awesome style will impress. The large corner lot provides a great back yard w/ lots of green space for playing or lounging! This prime, Midland, location is just minutes from Kitten Lake shops & N. Columbus shopping. 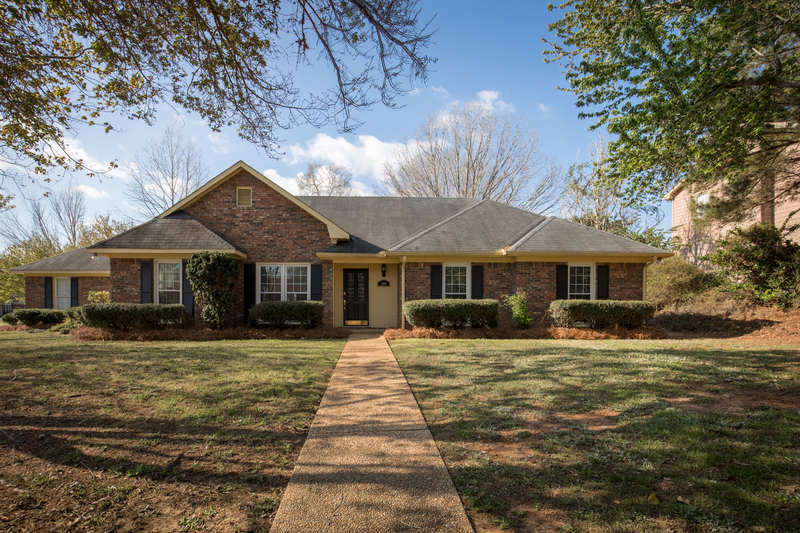 Move in ready w/ so much to offer - you can have it all! A spacious living room centers around the f/p & opens to the formal dining room & TWO bonus rooms. These make a perfect office, play room, or another bedroom! One bonus room has a half bath & could double as an in-law area or teen bedroom w/ access to the garage. Fantastic updated kitchen w/ breakfast area. Hall bath w/ double granite vanity & 2 bedrooms w/ great closets. Master w/ amazing ensuite - skylight, granite double vanity, tile shower! And... You could walk to Chick-Fil-A & Starbucks! !